Italy and France have been accused of reneging on promises to increase aid to African nations. Anti-poverty group One, set up by rock star Bono, said Italy had actually cut aid to Africa despite making ambitious pledges at a 2005 economic summit. The Italian government acknowleged it had missed its aid targets. It blamed the financial crisis and said it remained committed to helping Africa. The report also accused France of reducing its aid targets and budget. At the Gleneagles summit in 2005, the G8 pledged to increase aid to Africa by $25bn (£15bn) by 2010 - more than doubling the 2004 level of aid to the continent. BBC international development correspondent David Loyn says the report is underpinned by a fear that the economic downturn could undo what modest progress has already been made. Musician turned anti-poverty campaigner Bob Geldof and former UN Secretary General Kofi Annan have written a joint introduction to the report. They say the world's poorest people have benefited least from globalisation, but they are now suffering the most from a crisis they did not cause. The One report concluded that the US, Canada and Japan had largely met their commitments - adding that their pledges had been relatively modest. It said the UK and Germany had missed some targets but were attempting to put in place much more ambitious programmes than the other nations. The report, to be released later, is particularly critical of Italy, which is due to hold a G8 summit later this year. "Italy has said it will put Africa at the forefront of the agenda at the G8 summit," the report says. "Based on its performance against the [last G8 summit] commitments, it has no credibility to host discussions of such global importance." 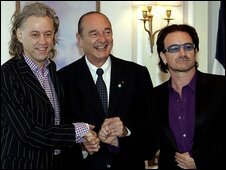 At a news conference in London on Thursday, Bob Geldof said Italy could not be trusted to run the G8 summit this year. "What is the legitimacy of this crowd of shysters to run the G8 this year?" he asked. In response, the Italian Ambassador in London, Giancarlo Aragona, said he took exception to such language. "We have already acknowledged that we are short on the promises made at Gleneagles," he told the BBC. "We had to scale down on our state aid because of the financial crisis." Mr Aragona added that Italy remained committed to the goals set in 2005, and that it hoped to meet them "as soon as possible". The Africa manager of One, Edith Jibunoh, told the BBC that the G8 had performed "poorly". "This is because of two countries in particular, Italy and France, dragging down the rest of the group," she said. She said that in 2009 only half of the promises would be delivered and that Italy and France were "80% responsible for that shortfall". The One group is part of the anti-poverty advocacy organisation Data (Debt, Aids, Trade Africa), set up in 2002. On Wednesday Italy's Prime Minister Silvio Berlusconi called for decisive action from wealthy countries to help bring Africa out of its misery. "It's a big problem that requires a big decisive response from all those who are fortunate enough to be well-off," he told reporters. 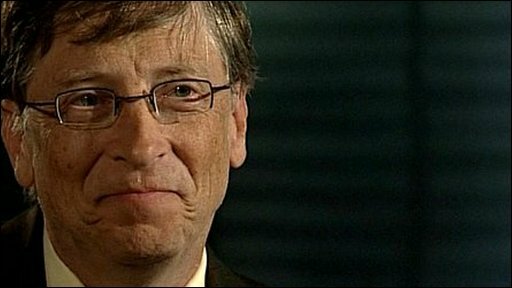 However, he said that aid could not simply continue to pour in to Africa. He accused some African leaders of funnelling money into their own Swiss bank accounts rather than use it to help their people. Overall aid to Africa has increased over the last four years - and as a result 34 million children are in school and three million people now receive treatment for Aids. But the report warns that at least half the African states that have had their debts cancelled are now borrowing again, and may soon be in trouble.